To apply to The Toronto Institute of Pharmaceutical Technology as an Domestic Student, there is a non-refundable fee of $100 Canadian Dollars. You will receive an email confirming receipt of your application and the non-refundable $100 Canadian Dollars application fee. 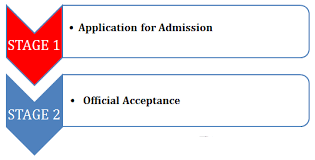 Your application will be reviewed by the Domestic Education Admissions Office, and you will receive notification of your status within 2 weeks. Once we have reviewed your Application, and determined your program eligibility, you will receive an email informing you of your admission to the selected program.